The historical Rabbi Shimon bar Yochai was a Talmudic sage in the generation of the Tannaim, the senior rabbis of the Talmud. He was alive during the Bar Kochba revolt against the Romans (132-135 C.E. ), and was one of the many rabbis who resisted the Romans during that period. His teacher, Rabbi Akiva, was martyred by the Romans, as was the rabbi who bestowed ordination upon him, Rabbi Yehuda ben Bava. Bar Yochai himself, it is recounted in the Talmud, hid from the Romans in a cave for thirteen years. 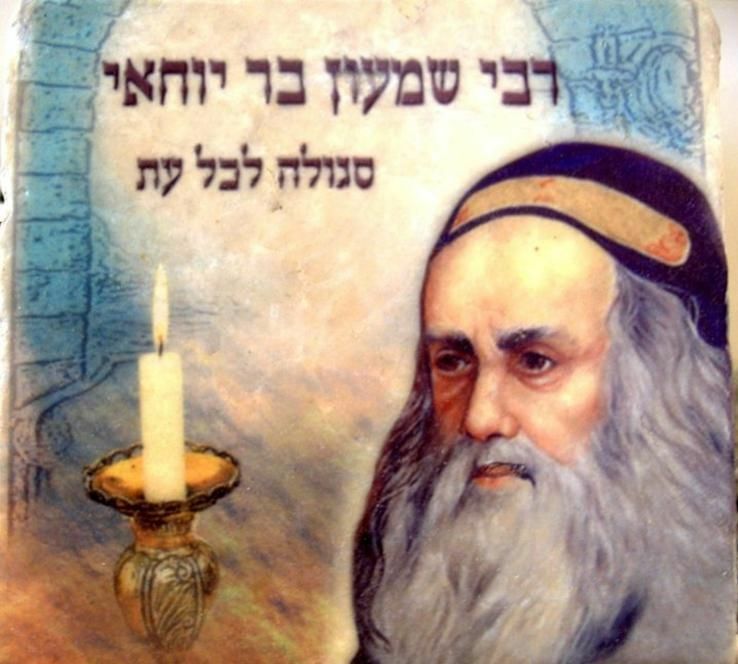 The legendary Rabbi Shimon bar Yochai is the author and protagonist of the Zohar, the masterpiece of Kabbalah. As such, he is revered among traditional Jews as the kabbalist par excellence, the incarnation of a holy soul who knew the deepest secrets of the Divine. In the Zohar, he is an enlightened master who communicates with Elijah the Prophet, has visions of the heavenly array, and probes the hidden depths of Torah. His grave, in the small Galilean town of Meron, is a holy site for pilgrimage, especially on the holiday of Lag B’Omer, observed as his yahrzeit (anniversary of death). On that day, thousands of pilgrims converge on the tomb complex, singing and dancing and lighting fires all through the night and day. Scholars do not believe that Shimon bar Yochai wrote the Zohar, or, indeed, had anything to do with it. As such, the question of “who was Rabbi Shimon bar Yochai” is a kind of litmus test of Kabbalists and students of Kabbalah today. For many, believing that bar Yochai wrote the Zohar is an essential article of faith, and so if you visit many Kabbalah sites of the web, they will simply define him as the sage who wrote the Zohar. One who does not accept this opinion is said to be an unbeliever. Now, the fact that the text of the Zohar was not written until the late thirteenth century does not itself mean that some of its ideas are not derived from earlier traditions. The consensus among scholars today is that Moses de Leon, sometimes called the “author” of the Zohar, could not possibly have written the entire text himself. More likely, the Zohar text is a compendium, possibly of actual conversations from de Leon and his circle that were then put into the mouths of Talmudic sages. Certainly, some oral traditions exist for hundreds of years before being committed to writing, so it is possible that some stretch back even to the Talmudic period. On the surface, this is not too far from the traditionalist account, such as the one on this Yeshivat Ohr Somayach “Ask the Rabbi” page, that Rabbi Moses de Leon “published” the Zohar. I wonder, though, why it is so important for some people to believe that the historical Shimon bar Yochai and the legendary one have to be the same person. I remember visiting the historical Elsinore, in Denmark, a ruin of a castle where Hamlet never lived, and where the events of Shakespeare’s Hamlet never happened. What does it matter? Is Hamlet less of a masterpiece, less potentially life-changing, because Shakespeare chose a historical setting for his play, rather than a contemporary (16th Century) one?